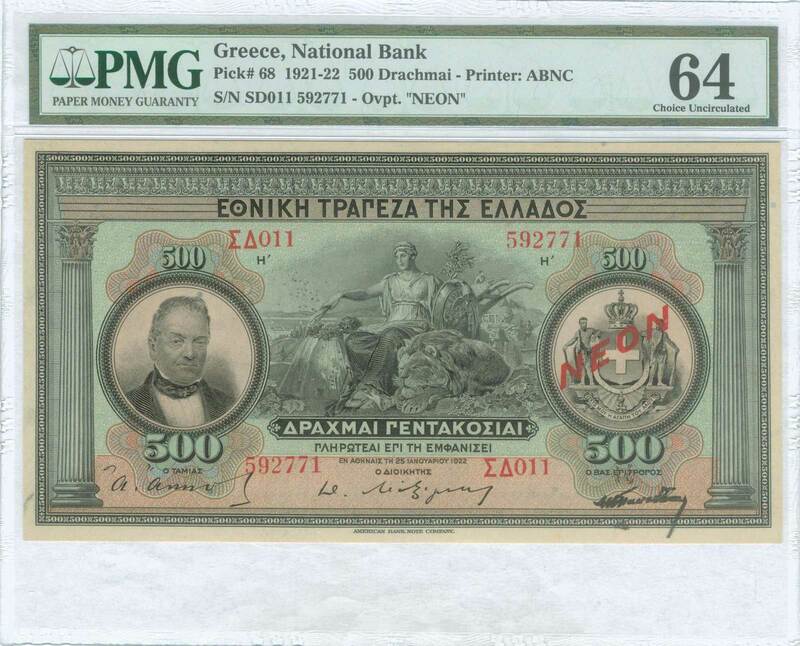 500 drx (25.1.1922 - 1922 NEON issue) in black on brown and green unpt with "Portrait of G. Stavros" at left, "Arms of King George I" at right and "Peace" at center. Red ovpt "NEON" over arms. Serial no "ΣΔ011 592771". Printed by ABNC. 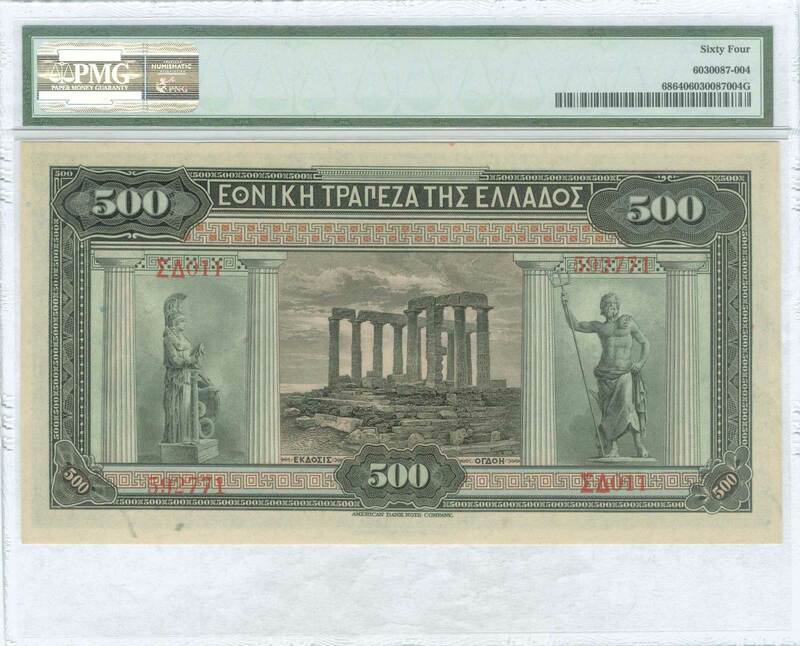 Inside plastic folder by PMG "Choice Uncirculated 64". (Pick 68a) & (Stratoudakis / Pitidis 64a).